Whether you are new to vaping or have been at it for years, no doubt you've had at least one experience where a non-vapor came up and started asking a million questions about what in the world you're doing and why you would ever do that. Generally, non-vapers mean well, they just don't understand this fascination with electronic cigarettes. As vapors, it is our responsibility to educate, not irritate, others about the benefits of vaping. So scan below for 6 questions you may get asked by a non-vapor and our suggestions on how to respond. 1. Why would I want to go from smoking traditional cigarettes to electronic ones? It's a proven fact that traditional cigarettes are bad for you and can cause cancer. As for electronic cigarettes, however, you aren't inhaling all of the harsh chemicals that go hand-in-hand with traditional smoking. Many former smokers also say that vaping restored their senses of taste and smell that they had lost by smoking. In other words, there are many benefits to getting rid of harmful secondhand smoke, and electronic cigarettes is one way to accomplish this! 2. What's in the "smoke" that comes out of the end of the electronic cigarette? It's actually not smoke at all, but a water-based vapor mist. These "vapor clouds," as they're called, contain small amounts of nicotine, but none of the harmful chemicals released by traditional cigarettes. 3. How do electronic cigarettes work anyway? Simply put, electronic cigarettes are tobacco alternatives that allow users to inhale nicotine through a battery-powered vapor device. The battery, which is the central unit of the device, basically heats up the liquid nicotine inside and turns it into delicious flavored vapor for you to enjoy! 4. Does vaping smell like smoking cigarettes? Using electronic cigarettes usually gives off a slight smell depending on the flavor you vape with, but the smell quickly dissipates and only affects a short radius of where you vaped. Electronic cigarettes also don't produce that horrible lingering odor that sticks to your clothes, breath, and furniture after smoking. 5. Can you vape anywhere? Electronic cigarettes are allowed many places that traditional cigarettes are not. However, some places—like on airplanes and at schools—have vaping bans in place. The general rule of thumb is to follow if you are unsure is to ask if it is okay to break out your electronic cigarette. Remembering your manners and making sure you don't offend others is key. 6. Where can I purchase an electronic cigarette? At VaporFi, of course! Browse through our website and you will be amazed at the variety of products available. We offer some great electronic cigarette starter kits that can equip any type of vaper—from the newbies to the veterans. We hope these suggestions on how to answer some common vaping questions from non-vapers has helped. You can also refer people to our knowledge center to learn more about what this vaping thing is all about. 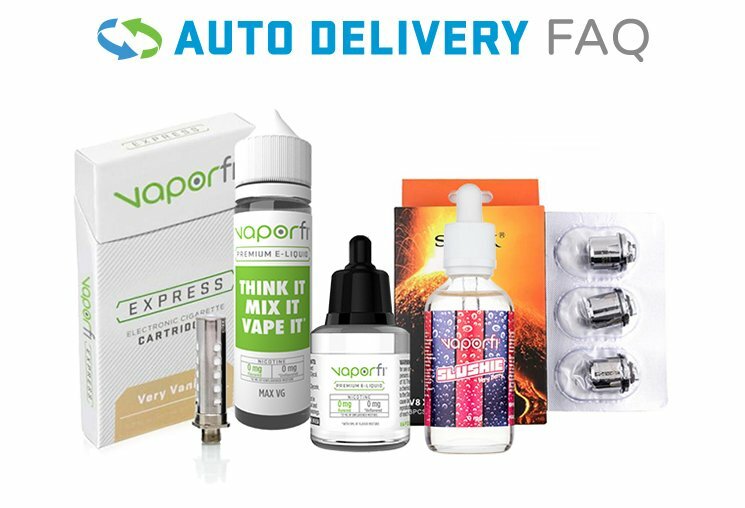 As always, the industry experts at VaporFi are here to help answer any questions that you or others may have about the exciting vaping journey. Talk to one of our friendly customer support staff today!